Kyle describes how incorrect assumptions about how code is working causes bugs. Kyle discusses the behavior of the typeof operator and focuses on cases that typically cause confusion. Kyle discusses what a NaN, how to use isNaN, and common sources of error in the usage of both. Kyle discusses the behavior of the abstract operation toString. Kyle discusses the behavior of the abstract operation toNumber. Kyle discusses the behavior of the abstract operation toBoolean. Kyle walks through typical situations where number to string, string to number, and any type to boolean coercions occur. Kyle introduces boxing and gives an example. Kyle makes a case for learning situations where coercion causes unexpected results. Kyle advocates for a culture where less experienced developers are encouraged to learn correct practices. Kyle discusses code comments and the role of notation standards like JSDoc in code communication. Kyle advocates for code that is clear in its usage of types, which allows for the use of implicit coercion. Kyle discusses the choice to use double equals or triple equals and how linters can both help and hurt code. Kyle analyzes the spec on coercive equality to understand completely each step of the double equals comparison. Kyle walks through a few lines of code that utilize the double equals for coercive equality. Kyle gives a summary of what double equals does when it is used in a program. Kyle uses a code example to make the argument that famous corner cases are often pulled from situations unlikely to occur. Kyle demonstrates what happens when an empty array is coerced into a boolean in multiple situations. Kyle offers advice on using double equals for coercive equality comparisons. Kyle makes the case that double equals is preferable to triple equals, which can be used as a sign that types are unknown. Kyle codes the solution to the exercise. Kyle defines what inferencing is in static typing. Kyle defines what custom types are and explains how they can help to reduce type misassignments. Kyle makes the assertion that the validation of operand types is a useful aspect of static typing. After mentioning an article on TypeScript compared with Flow, Kyle summarizes his thoughts on these two tools. Kyle discusses benefits of static typing. Kyle discusses the drawbacks of static typing. Kyle walks through compilation of code using a silly exercise to illustrate a mental model for scope. Kyle walks through execution of code using the exercise from the previous lesson. Kyle answers questions about the stages of compilation and execution. Kyle finishes walking through the execution of code, differentiating between two types of lookups. The lexical scope stage of the two stage mental model is reviewed. The compilation stage of the two stage mental model is reviewed. Kyle demonstrates what dynamic global variables are and in what situations they are created. Kyle gives various arguments for the usage of strict mode. Kyle walks through an example of nested scope. Kyle reviews the difference between a variable that is undefined versus one that is undeclared. Kyle introduces a metaphor for lexical scope. Kyle gives three reasons why named function expressions are superior to anonymous function expressions. Kyle breaks down the reasons why people use arrow functions and brings to light a few of their drawbacks. Kyle presents a hierarchy of function types and explains each level based on information from previous lessons. Kyle live codes the first part of the solution using function declarations. Kyle live codes the second part of the solution using arrow functions. Kyle breaks down ways to thinking about lexical scope using the bucket model from previous lessons, a new technique, and a type highlighting tool. Kyle demonstrates how dynamic scope works using a theoretical code example. Kyle presents arguments in support of the core principle of strategically hiding information in levels of scope. Kyle introduces the benefits of using the IIFE pattern. Kyle differentiates between situations where it is and is not useful to create block scoping. Kyle analyzes the choice of whether to choose let or var in the contexts of performance and code communication. Kyle presents a use case for an explicit let block. Kyle illustrates the potential semantic issues of using const. Kyle identifies situations where const can be useful. Kyle debunks myths surrounding the concept of hoisting and clarifies what is actually happening under the hood. Kyle walks through code examples that utilize hoisting with functions and variables. Kyle uses a code example to disprove the common saying "let doesn't hoist". Kyle defines what it means to close over variables and indicates where in a function it is occuring. Kyle distinguishes between what it means to close over a variable instead of a value through code examples. Kyle introduces the module pattern by explaining how data encapsulation involves closure. 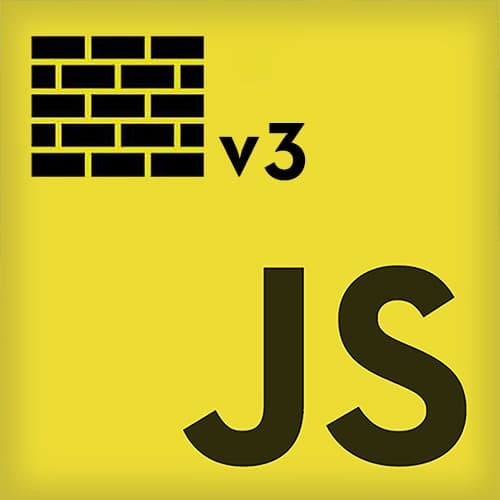 Kyle discusses incompatibility issues with the ES6 module system and Node.js. Kyle outlines the two styles of importing ES6 modules. Kyle differentiates implicit binding from explicit binding by giving several examples of each. Kyle highlights the four-part result of invoking a function with the new keyword. Kyle explores the results of invoking a function with the default binding in non-strict mode and strict mode. Kyle uses a code example to delve into the order of operations of which binding rule takes precedence. Kyle analyzes how the this keyword behaves in arrow functions. Kyle clarifies misconceptions about how the this keyword is resolved within arrow functions. Kyle explains what a class is and outlines a few of its capabilities. Kyle walks through a temporary fix method for this keyword behavior in the context of classes. Kyle presents a code example of a class system written using prototype to highlight data relationships. Kyle defines dunder prototypes and gives their use cases. Kyle discusses binding, arrow function scope, setting dunder proto, and super. Kyle walks through an example of shadowing within the prototypes system. Kyle explains how to link prototypes to each other to take advantage of inheritance. Kyle clarifies the difference between classical and prototypal inheritance in terms of copying or linking relationships. Kyle demonstrates how to implement a new design pattern involving linked objects. Kyle argues for code designed with linked objects in mind. Kyle wraps up the course by communicating his hopes for students going forward.